The Pride Jazzy Passport comes out in 2018. Taking Pre-Orders now. 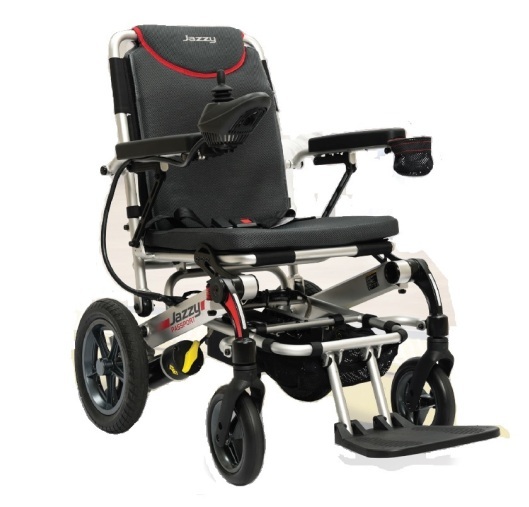 The Pride Jazzy Passport foldable, powered wheelchair brings lightweight travel and effortless transport with this compact power chair. The Jazzy Passport makes traveling a breeze with and overall weight of just 60 lbs. Folded Size: 32" 16" x 19"
Total Weight w/o Batteries: 53 lbs. Standard Seating: Material: gray, Foam // Dimensions: 17.5" x 16.5"